Sinking funds are one of the most useful additions to a budget, and yet not many people know what they are. These mini savings funds can be a serious budget saver, especially considering that 30% of American households have less than $1,000 saved. That said, it’s up to you to decide whether or not to harness their power. What Expenses Should I Use Sinking Funds For? 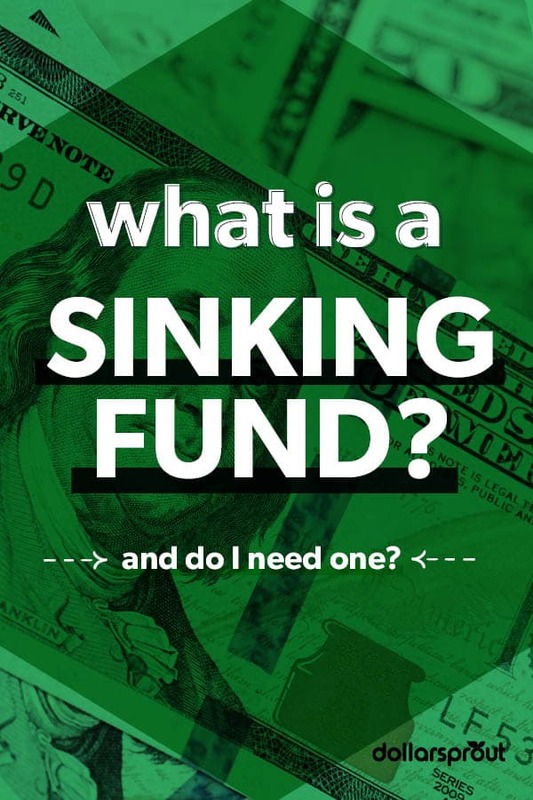 What Accounts Should I Use for My Sinking Funds? Should I Use Sinking Funds if I Have Debt? 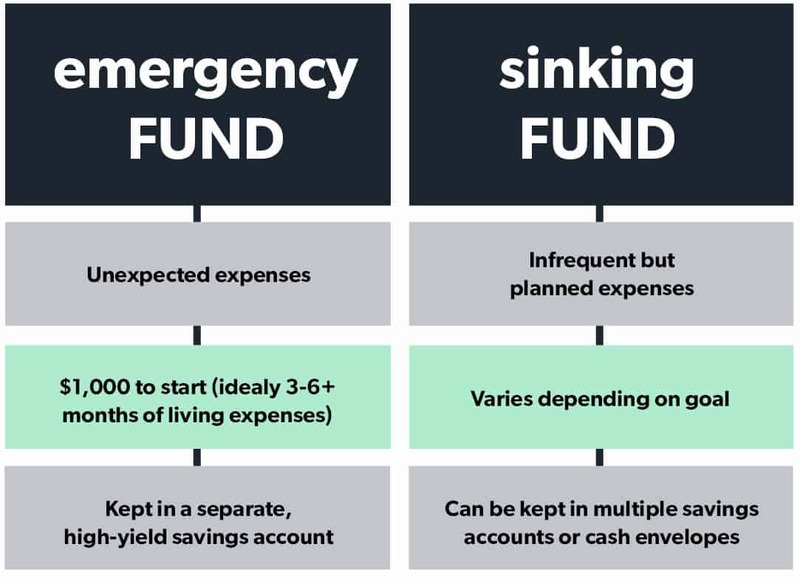 Think of a sinking fund like the cooler cousin of an emergency fund. It’s money you’re saving every month for a specific purpose, but you plan to spend it in the future. To put it another way, emergency funds are for financial surprises. Sinking funds, on the other hand, are for planned future expenses. These expenses are easy to forget to put in the budget because they only pop up every few months. For example, you can use sinking funds for fun things like getting highlights in your hair. Or you can use it for less fun but necessary purposes, like saving every month for your quarterly insurance payment. These mini savings funds help you budget because you treat each sinking fund as a line item in your monthly spending plan. It’s money you plan to set aside so you have it when you need it. When you plan your finances this way, you won’t be surprised or stressed when it comes time to pay for your car insurance. If you use a sinking fund, you’ve already put the money aside each month and can easily pay for your bill in cash. 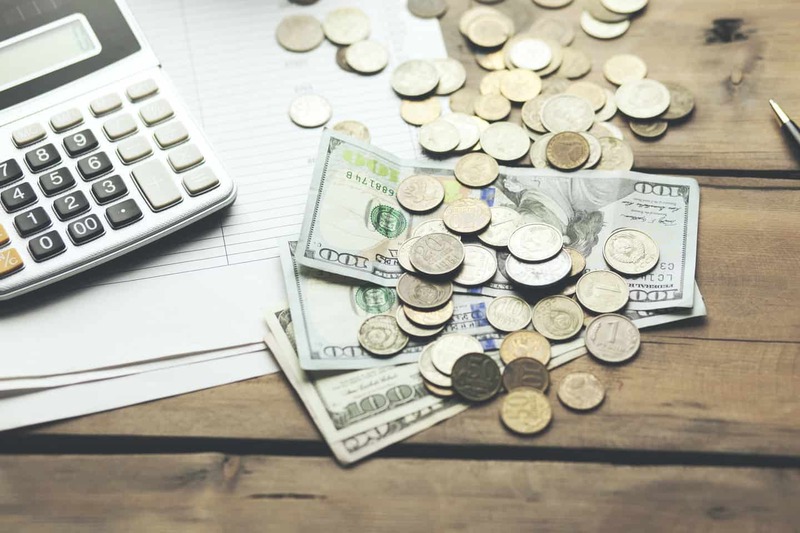 Although sinking funds, emergency funds, and savings accounts all involve saving money, there are key differences to each of them. Below are some characteristics of these three different ways to save. You’ll want at least $1,000 in it to start. Eventually, build it to 3-6 months of living expenses. Should only be used for unexpected emergencies. Think of things like the basement flooding, your car needing major repairs, or a trip to the emergency room. Not for things like vacations, Christmas, or sending your sister a birthday present when you forgot to put it in your budget. Should be kept in a separate account — far away from your day-to-day spending activities — preferably with a high interest rate. Should not be invested in the stock market and should be easily accessible within a day or two. For example, you don’t want to wait five days for a bank transfer if you have to pay for a large car repair. For expenses that are irregular but you know are coming. Think of things like birthday dinners for your spouse, a trip to the salon, your tax bill, insurance payment, Christmas, back-to-school expenses, minor car repairs, upcoming holidays, etc. Can be kept in your checking account, a savings account, or in cash envelopes. Are meant to be withdrawn at some point when your bill or expense comes due. Can help you stay organized and not be caught off guard when you have to pay for something irregular. Bank accounts that you can use to hold your emergency funds and sinking funds. Can hold a large lump sum of money or can be one of many different savings accounts that holds your sinking funds. Should be at a bank that has a high interest rate so your money works for you while it sits in your savings account. Holds money that isn’t for long-term investing. 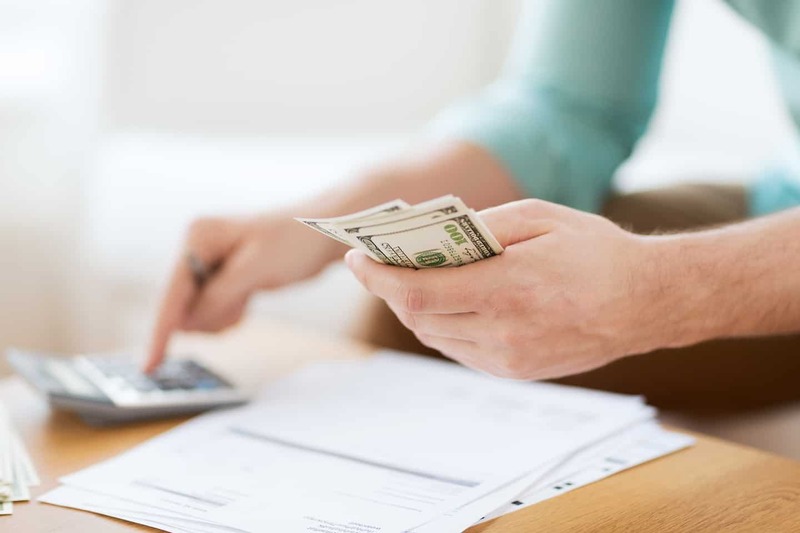 Now that you know the differences between these types of savings methods, you can start to think about how you want to set up your sinking funds. There isn’t one specific way you have to set up your short-term savings funds. That’s why personal finance is personal. 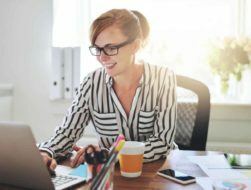 There are many ways to organize these funds, but here are three methods that people typically prefer. Cash envelopes: If you like to use cash envelopes, you can also use them to save for upcoming expenses. You might have envelopes for Valentine’s Day, car repairs, your 6-month car insurance payments, and more all in cash. Keep them in a safe place and access them when you need it. A savings account: You can put money aside every month for your sinking funds and keep it all together in a savings account. The challenge with this method is you’ll have to keep a record of what the money is for. You’ll also have to resist the urge to withdraw from the account for something other than what you’re saving for. 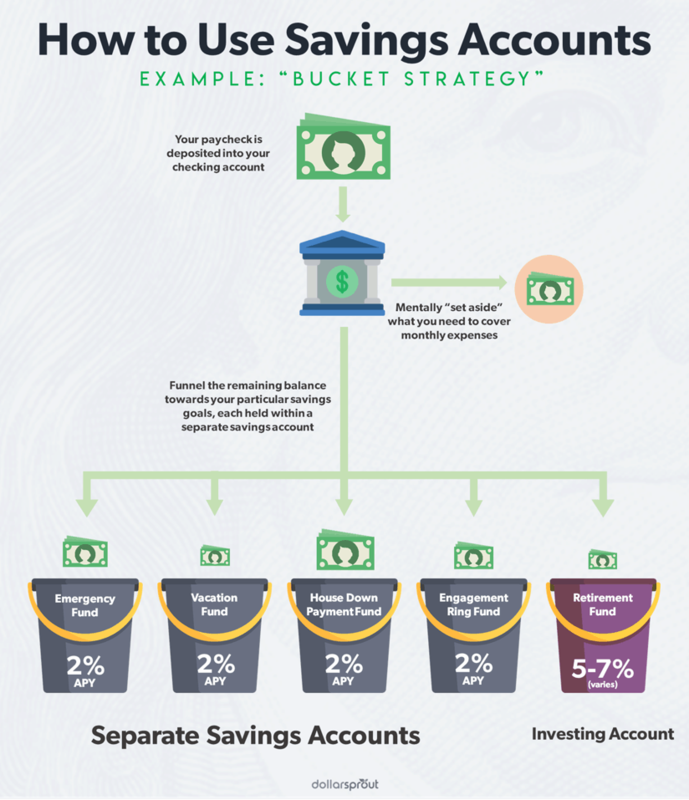 Open multiple savings accounts: This is the method I personally use for my bigger short-term savings goals. I like to put specific goal names on each account. For example, I saved $10,000 while I was pregnant with my twins in a savings account designated just for this purpose. I also have a separate sinking fund for Christmas that I add to all year long. If none of these methods seem like the best fit, consider taking a hybrid approach. For example, I save my bigger sinking funds in separate, high-yield savings accounts. However, I keep my smaller sinking funds, like my water bill, in my checking account and keep track of them in my budgeting app. Sinking funds aren’t complicated once you get the hang of using them. However, if you’re just starting out, you’re probably asking yourself a few of these common questions. How you use your sinking funds is really up to you. Your sinking funds don’t have to be exactly the same as your friend’s funds or your neighbor’s funds. Some people have sinking funds for things that might be considered emergencies, like repairing a car. Others would just use an emergency fund for a big car repair. Tailor your sinking funds to your current financial situation. If you have an older, high-mileage car, starting a car repair sinking fund might be wise. However, if you have a newer car, you might not need a car repair sinking fund. If you take a big vacation every year, start a sinking fund for that. On the other hand, if you always have a very minimalist Christmas or use a work bonus for Christmas spending, you might not need to save all year for it. You can use a checking account if you’re able to keep excellent records. You can also use separate high-yield savings accounts for each fund. The best kind of high-yield savings accounts to use are typically through online banks because they often have the best interest rates. It’s also nice to choose a bank that will allow you to change the name of your accounts to keep your sinking funds neatly organized. Yes, you should absolutely use sinking funds if you have debt. Sinking funds, much like emergency funds, can help prevent you from going into debt any further. They help you plan some of your bigger expenses, and they can also help you in a pinch if you have an emergency but don’t want to dip into your emergency fund. What if you had a sinking fund for the holidays? Every month, you can put money aside in a separate savings account earmarked for presents. By the time December rolls around, there’s no need to use your credit card for gifts. You’ll already have everything you need. This is just one example of how sinking funds can help you pay off your debt even faster. Ultimately, having sinking funds will help you to stay on budget every month. When you don’t have sinking funds and you forget about some of your irregular expenses, it can easily sink your budget. I don’t know about you, but my water bill is about $200-$250 every three months. If I didn’t put money towards that every month, it would be easy for me to forget about that bill and bust the budget when it rolls around. You can use sinking funds for a variety of expenses. Whether they’re fun or practical, they can help you to stay on budget. And when you stay on budget month after month, you’re much more likely to reach some of your bigger financial goals. Sit down and look back at your spending the past few months. Do you see a few random, irregular expenses that you can plan for in the future? If so, start your first sinking fund. If you’re like me, you’ll appreciate them so much you’ll have a dozen sinking funds before you know it.